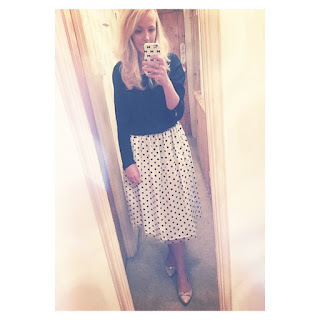 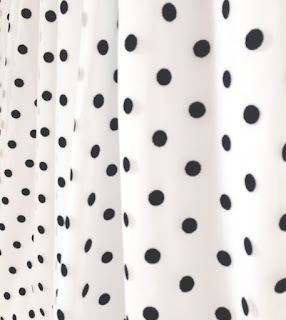 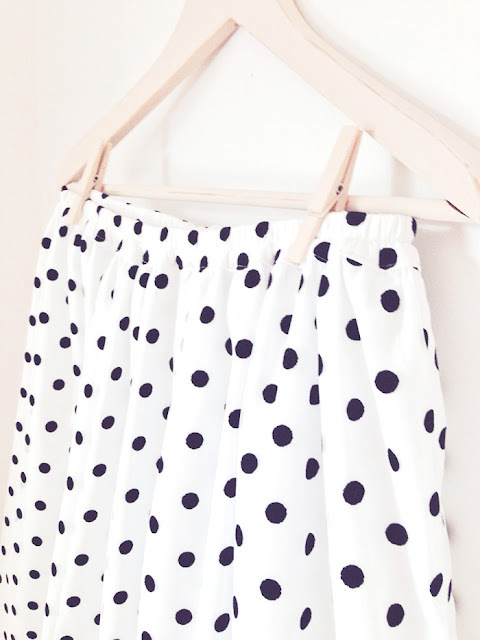 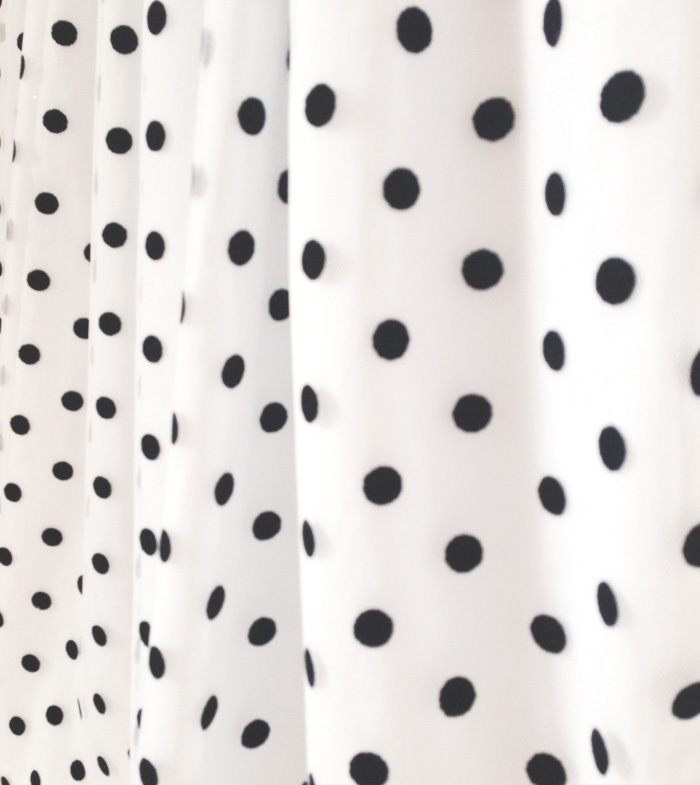 Just a quick post today to share with you this gorgeous polka dot midi skirt I made the other day for my friend, Rosie. 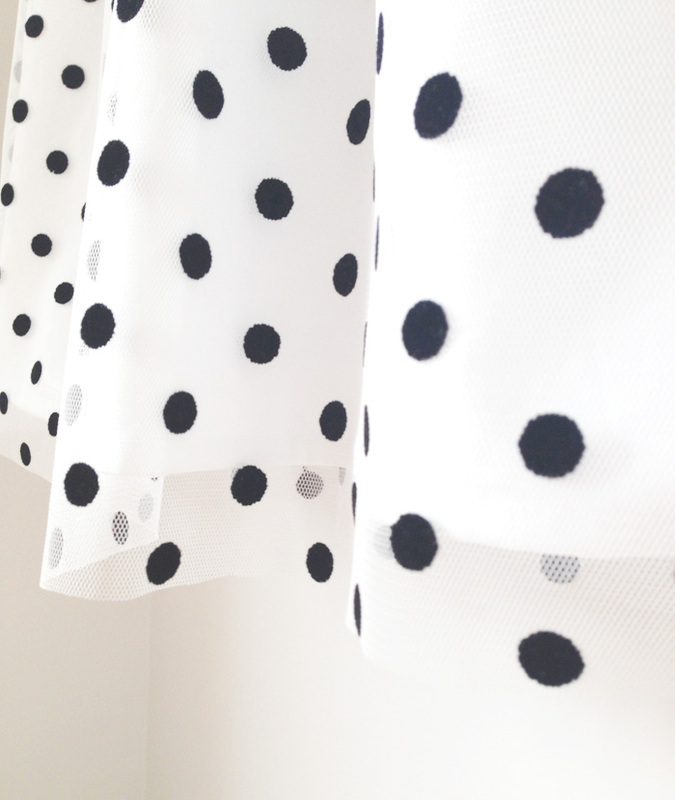 I found this soft tulle like fabric with black velvet polka dots on at my local mill shop and couldn’t wait to make something with it. I bought some cheap but soft cotton to go underneath so it wouldn’t be see through. 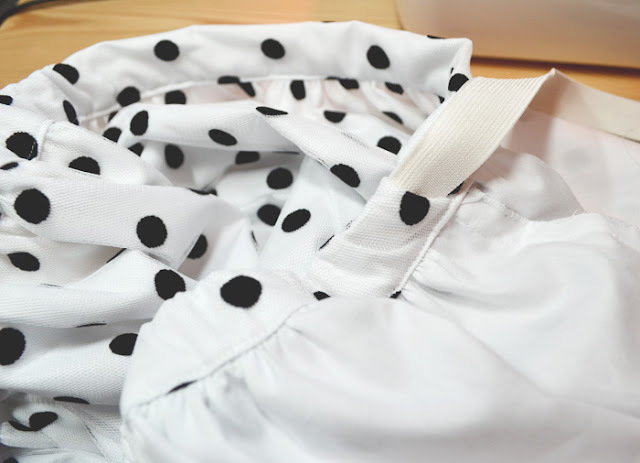 The only difference is I inserted an elasticated waist band instead of a zip. 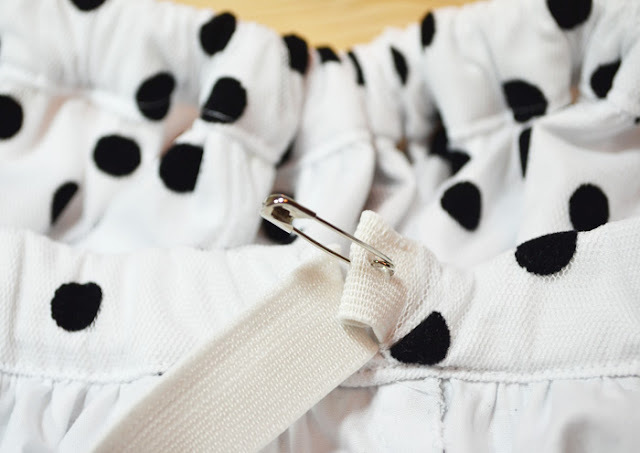 Elasticated waist bands are a little fiddly to insert but worth it in the end, this one added even more pleats to the skirt so it looked fab! 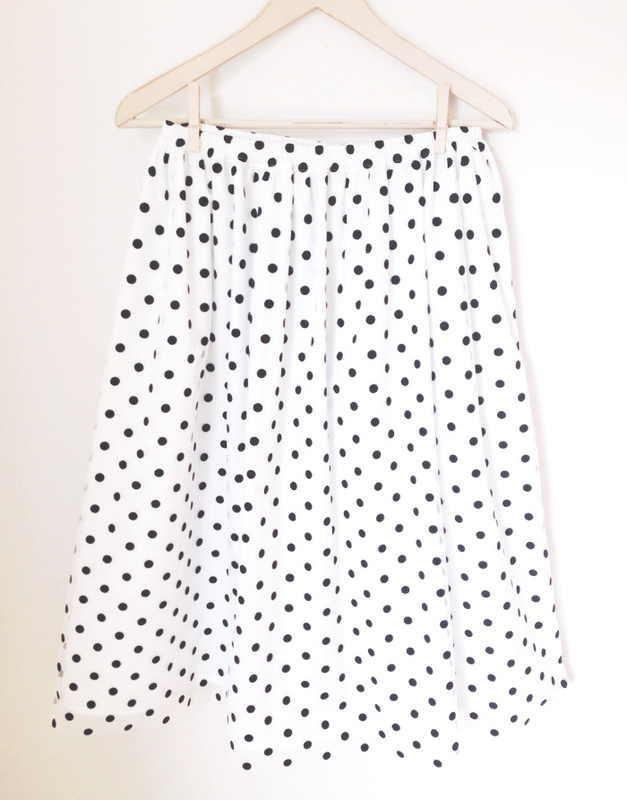 I also made this skirt a little longer ( 27”) so the hem fell just below Rosie’s knee. I think it looks very vintage and suits Rosie perfectly!